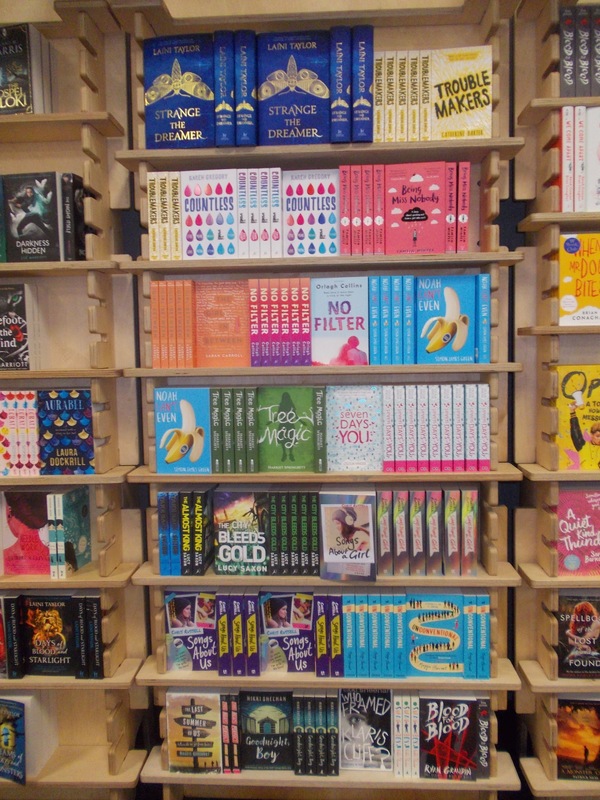 If your teenager likes reading, he/she may surprise you with a request to go to the YALC at the London Olympia one July. When this happens, say ‘Yes’. 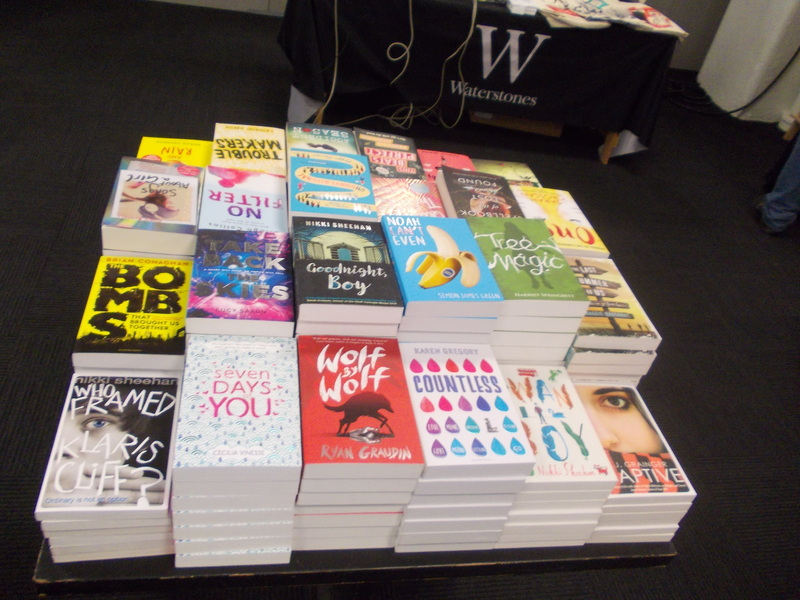 And if you like reading or writing, make sure you go along with him/her, because the Young Adult Literature Convention (yes, that’s what YALC stands for) is the highlight of the bookish YA year. Put a booky teenager in a group of other teens and they’ll generally be shy and feel nerdy. But leave your teen at YALC and they’ll be in heaven. Imagine a giant library with carpeted floors and cushions. Instead of library books, you have brightly decorated YA publisher stands giving away free samples of forthcoming novels, free proofs of yet-to-be-published books, postcards, bookmarks, badges, tote bags and lots more goodies. And as well as librarians, you have 100 authors, all mingling with their teenage readers and chatting to them during hours of book signings. If you happen to be a budding writer, you can go to writing workshops, publishing talks and agent 1-2-1s, which are all included in the ticket price. Best of all, there are nonstop panels of authors talking about their work and discussing common themes. 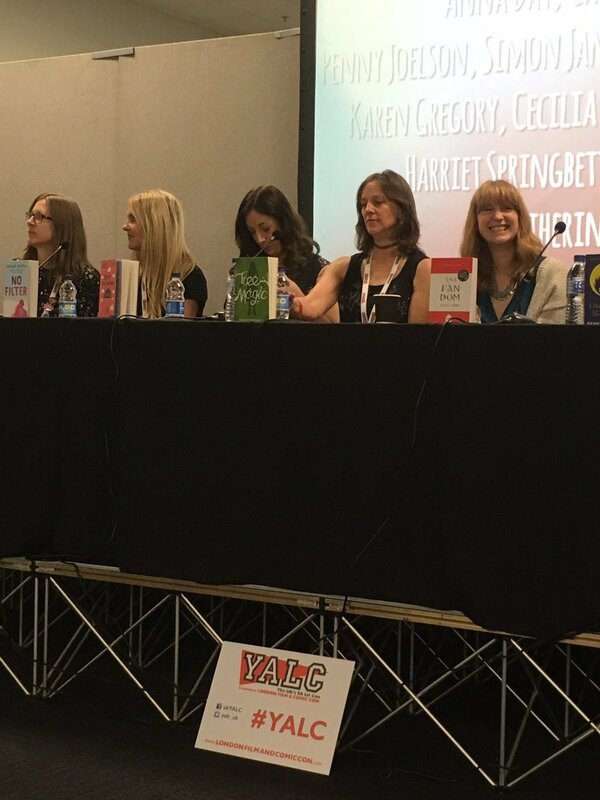 I was lucky enough to be one of the authors invited to speak at this year’s YALC. As a newbie author, I was on a New Voices panel, which gave me free, 3-day access to the book bonanza – as well as a pass to see Benedict Cumberbatch, John Cleese, Pamela Anderson and Christopher Lloyd and lots of other film stars featuring in the Film and Comic part of the convention on the lower floors. But I didn’t bother with famous filmstars in the crush of Cosplay fans. I was far too busy upstairs in the comfort of the bookish world. To begin with I felt a little lonely as I watched the joyful reunions of authors from the UK, US and Ireland. But that all changed when my publicist arrived and took me to meet the wonderful YA book bloggers I’ve been chatting with on #SundayYA for the last 6 months. The most inspiring event for me was a panel with Sarah Crossan and Brian Conaghan, the co-writers of one of my favourite YA books, ‘We Come Apart‘. Did you know they co-wrote this verse novel while living in different countries? Listening to them talk about their approach to writing made me want to pull out my notebook there and then. I instantly warmed to Patrick Ness, interviewed by Juno Dawson, because of the way he cares for teenagers. And I was encouraged to learn that Laini Taylor works in much the same way as me. But the most amazing person there was without doubt Katherine (Katie) Webber, author of ‘Wing Jones‘ and chair of many panels. Her fun, efficient and friendly chairing largely set the tone for the whole event. 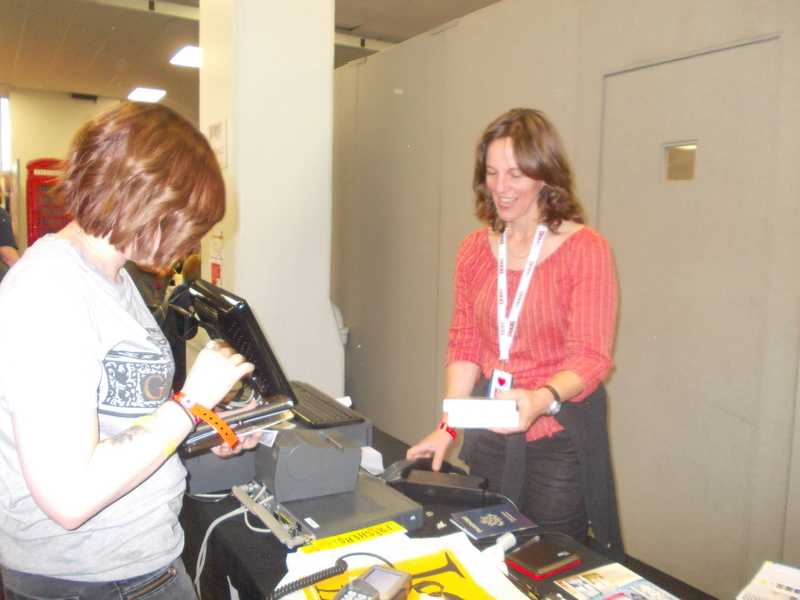 I didn’t actually do any work until my panel on Sunday morning – actually, that’s a lie: the hardest job of the weekend was helping out at the bookselling stand. The brave Waterstones booksellers let me press buttons on the cashtill, scan books, swipe loyalty cards and stamp points cards for an hour. It was really difficult! Don’t underestimate the concentration your booksellers need when they sell you a book. 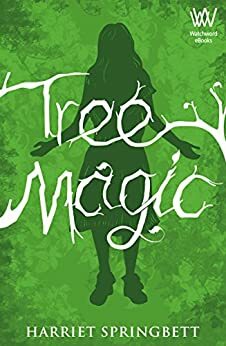 Luckily the YALC clients were patient, and the best moment was when I took payment for a copy of my very own ‘Tree Magic’. Many of the non-teen audience were YA writers, and I joined them in several workshops – including a useful talk by literary agent Ben Illis and a meeting with Chloe Seager, both of whom were interested in my work. At last, Sunday morning arrived and, with a thudding heart, I joined the other 10 debut authors on stage. This was a huge number to manage, but Katherine Webber was more than equal to the task. 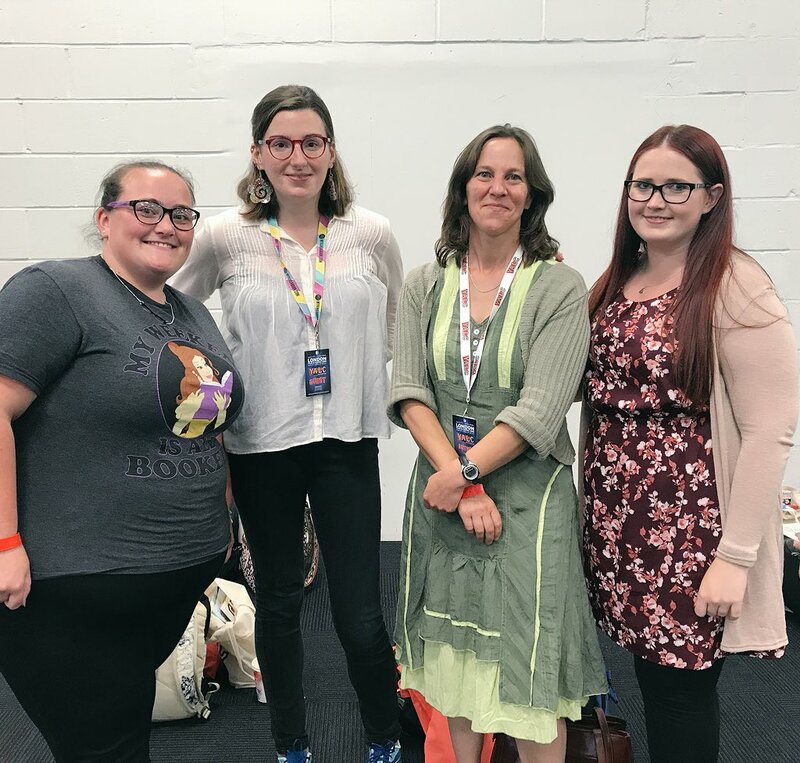 I had read most of their books before YALC, so it was fascinating to listen to their experience of getting published. The 2-hour slot for signing was hardly long enough to sign the, um, handful of copies put into my hands. This is not really surprising, as I believe it’s as difficult for small publishers to get books placed in WHSmith and Waterstones as it is for writers to find an agent. Anyway, I had lots of interest following my talk, and the signing quickly became a highlight of the weekend when the lovely Kelly from Kelly’s Ramblings gave me a packet of my favourite chocolates (Cadbury’s Boost, since you ask). After 3 days of fangirling and being fangirled (well, a nice young lady did say, ‘Are you Harriet?’ when I sat in the empty chair beside her. That counts, doesn’t it?) it was time to leave the friendly faces. 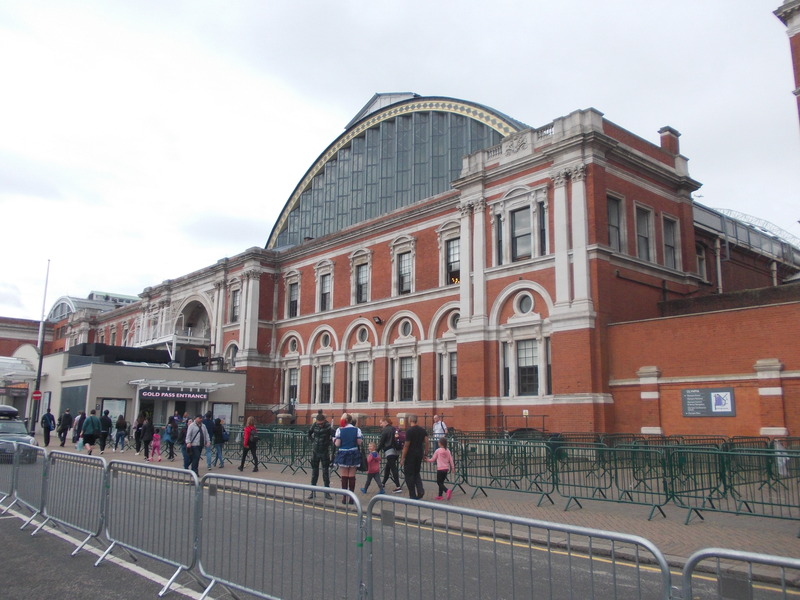 Many thanks to the YALC team, to my friend Hester for hosting me and my publicist for organising the tickets. 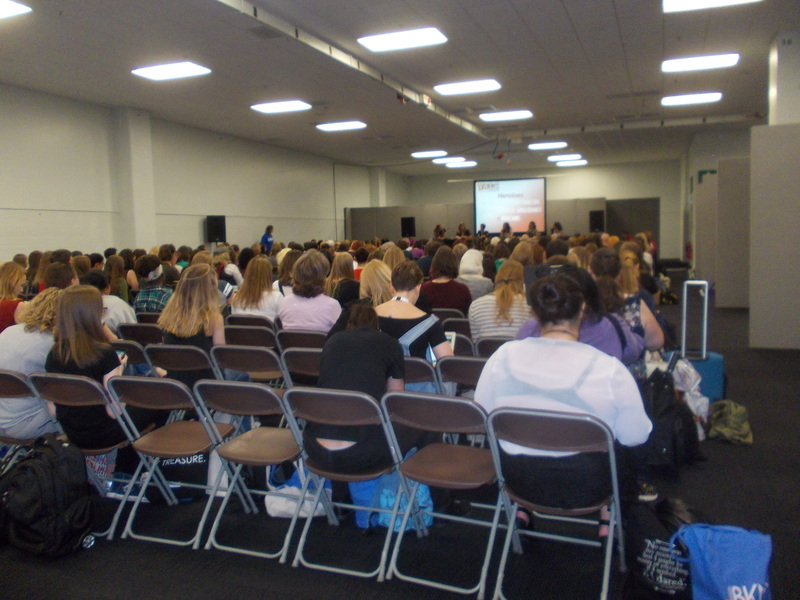 Find out more about YALC from bloggers Kelly, Steph, Ellie, Bex and Cora. 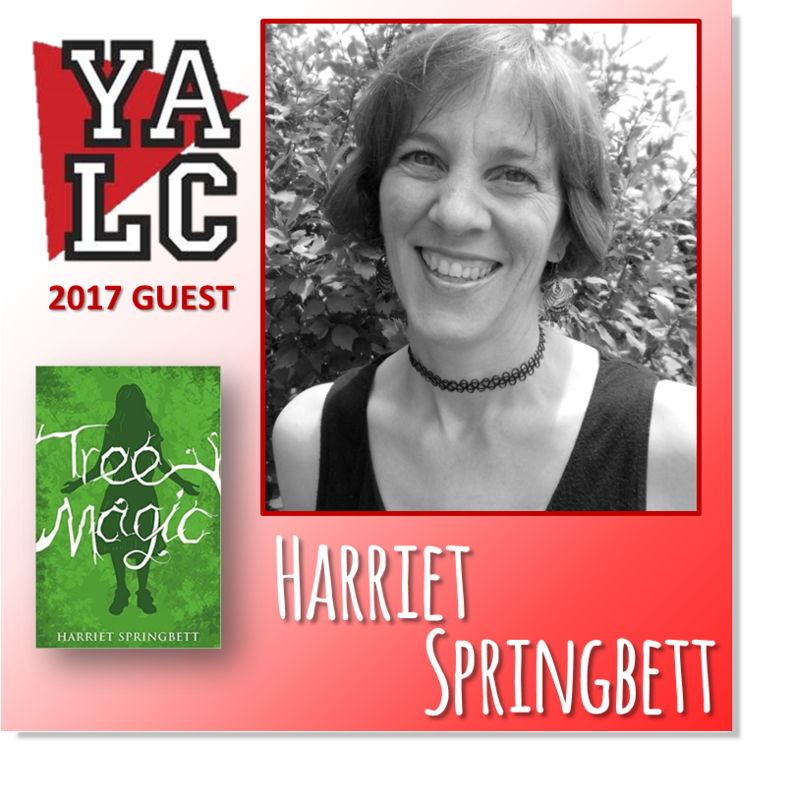 This entry was posted in On Writing, Tree Magic and tagged Bex, book bloggers, Cora, Ellie, Kelly, Steph, YA, YALC on 2 August 2017 by harrietspringbett. Sometimes I wonder whether writing a blog is a waste of time. An enjoyable waste of time, but still time that I could spend doing useful things like, um, writing proper stuff? Or testing my kids on their irregular verbs. Or making fab meals for my partner. Or maybe cleaning the greasy grime from my bath (actually, no; not that). And then something like this happens, and my effort is rewarded. Like what? I hear you ask. 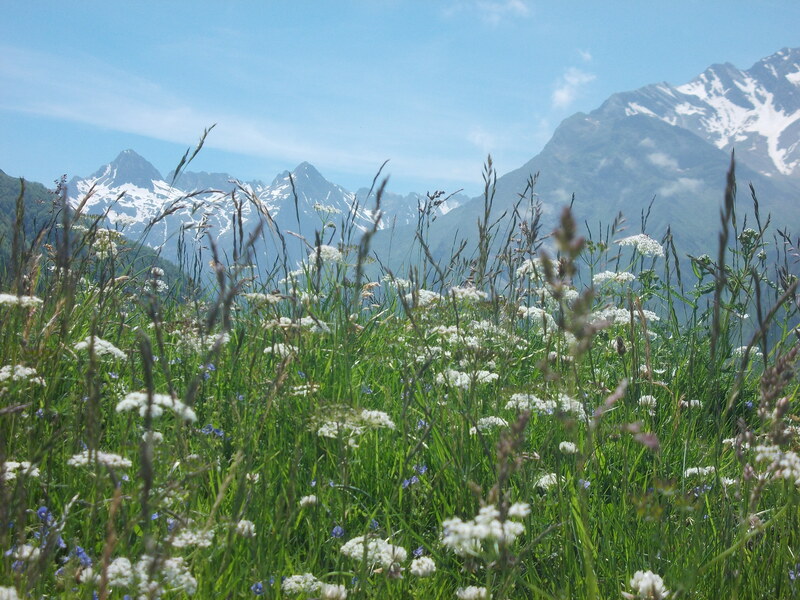 I was in the Pyrenees mountains on my writing residency in June and, to avoid being lonely in the evening, I wrote silly things on my blog about what I’d been doing each writerly day. On my last day, I received an email via my blog contact page from Clare, a Writers’ and Artists’ Yearbook website editor. 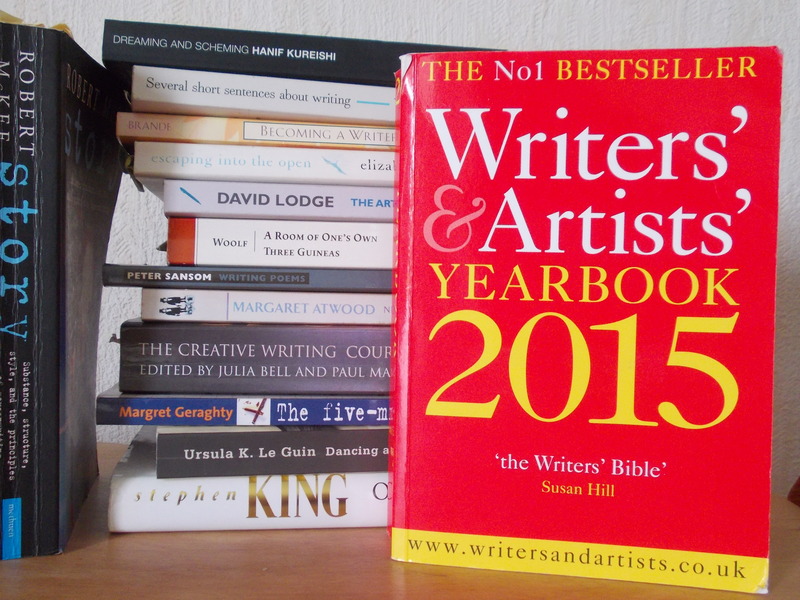 If you’re a writer and you’re thinking about publication, you’ll know that this red writers’ bible is published annually and contains listings of agents, publishers, magazines, awards and associations. It also has practical articles from writers talking about their craft. Well, Clare had been reading my blog and wanted me to write an article for the Writers & Artists website. So I did. I wrote ‘Going Public’. And from this surprise request, I have learnt that having a bit of fun and being yourself seems to be more effective than spending hours drafting queries and proposals. Anyway, here‘s the article on the Writers & Artists website. I hope you find it useful. Or interesting. Or something like that. While you’re there, take the time to browse the website because it has loads of useful information on it. You can register for free and sign up for the newsletter too. 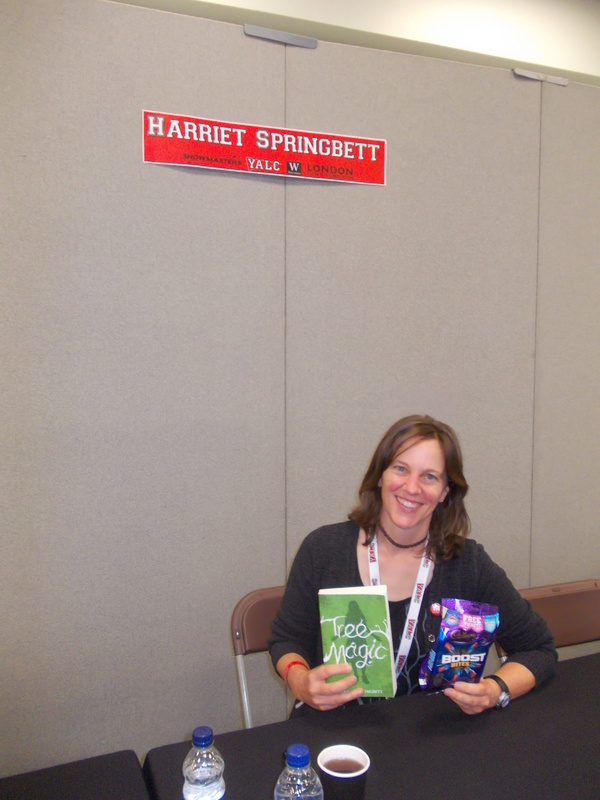 This entry was posted in On Writing and tagged Charroux, Impress Books, Tree Magic, Writers & Artists, Writing residency, YALC on 14 July 2017 by harrietspringbett.